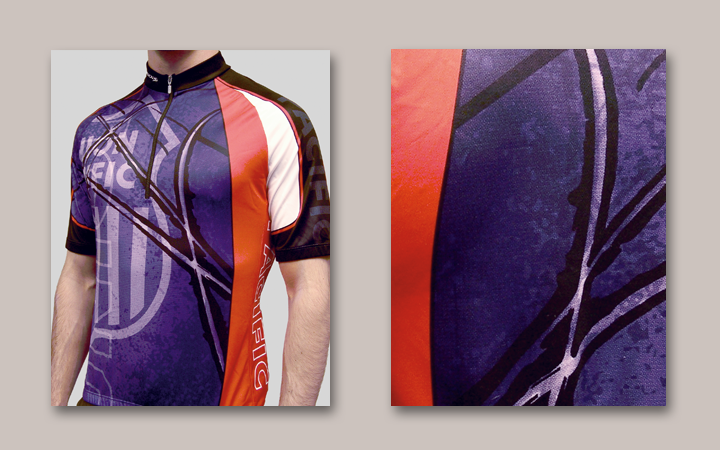 Jerseys to provide a branded company touch to the Union Pacific cycling team. 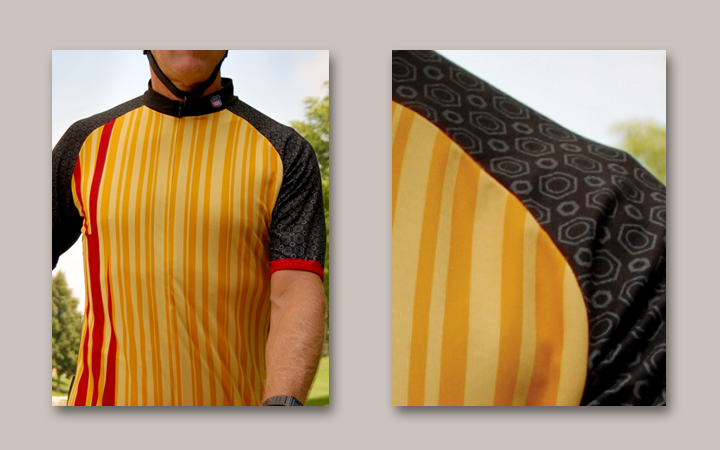 A new jersey for the Union Pacific cycling team is created annually to add a company touch to every race. Union Pacific’s cycling team participates in many races and events during any given year. They needed a branded jersey that would unify the team and highlight their connection to the company. Everyday railroad elements were reinterpreted to create the jersey designs. We used tracks at a switching area in a rail yard, ties, nuts and bolts to abstractly represent the Union Pacific brand.